Students expand their knowledge of word roots, prefixes, and suffixes originating in Greek and Latin. They build and decode words using those elements, including identifying multiple words using the same elements. They then utilize their new vocabulary words in expressive writing. Finally, they learn common Latin abbreviations. In this experience, students expand their knowledge of word roots, prefixes, and suffixes originating in Greek and Latin. They build and decode words using those elements, including identifying multiple words using the same elements. They then utilize their new vocabulary words in expressive writing. Finally, they learn common Latin abbreviations. Determine the meaning and use of Greek and Latin roots. Use words containing Greek and Latin roots. Until the mid-20th century, a majority of American students studied Latin. At that time, Latin had been a “dead” language, not spoken in any country, for a thousand years. So, why was it still studied? Because through Latin we have a better understanding of history, science, math, foreign languages, and English. 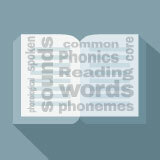 It’s estimated that 30 percent of English words can be traced back to Latin. Latin itself descended from ancient Greek and other languages. When you learn Latin, or even Greek and Latin roots, prefixes, and suffixes, you have a direct link to Greek and Roman philosophers, playwrights, scientists, and lawmakers. You learn the building blocks of an increased vocabulary, both in English and the Romance languages, including French, Spanish, and Italian. In this experience, you will build your knowledge of Greek and Latin roots in English. The ancient Greeks and Romans expanded their power well beyond their homelands. Yet their greatest influence came not from their military strength, but from their ideas and ability to communicate them. Their words survive and are still in use today. Think about the phrase E pluribus unum, which means Out of many, one. The phrase appears on items in use throughout the United States today. Name a common item on which the phrase appears. If you don’t know, use your imagination and take a guess. When everyone is ready to continue, unlock the next part. The phrase E pluribus unum appears on U.S. coins and currency, as well as on the official seal of the United States. The Latin translates to Out of many, one, referring to the creation of the country as 13 colonies joining together to form a single nation.